A Naropa University student in Boulder said the city needs to address racism with actions instead of just words or meetings. BOULDER, Colo. — A forum addressing racism by the Boulder City Council is a start at bringing the community together, but not enough to solve the city's problems, said a student at the center of a controversy that's now garnered national attention. 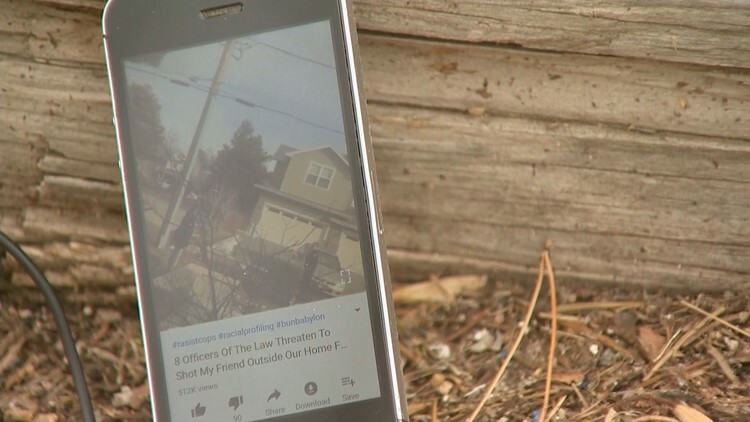 According to a news release earlier this month, a Boulder police officer saw a man, now identified as Naropa University student Zayd Atkinson, sitting in a partially enclosed patio area directly behind a ‘Private Property’ sign and spoke to him to find out if he was allowed on the property. Atkinson told the officer that he worked and lived at the building and provided his school identification card, the release said. The officer detained the man to investigate further and requested additional assistance over the radio, the release said. Over the radio, the officer indicated the man was uncooperative and unwilling to put down a blunt object, the news release said. Several officers, including a supervisor, responded and determined the object the man was holding was used to pick up trash, police said. Officers ultimately determined the man had a legal right to be on the property and returned the man’s school identification card. All officers left the area and no further action was taken, according to the release. Naropa University President Charles Lief, in response to a request for comment, wrote via email to 9NEWS earlier this month that eight officers in all responded. He said some of them drew their weapons and some appeared ready to draw weapons. At the city council's special meeting Monday night, City Manager Jane Brautigam said the incident was unacceptable and apologized to Atkinson "for the fear and pain you must've endured in this incident." "It is time to confront our biases and learn from them so we can better serve our entire community," Brautigam said. That's a sentiment Atkinson agrees with, but he doesn't think Monday's meeting holds all of the solutions and said the city's "appearance of racial sensitivity" was for looks only. "I had guns pointed at me because of the color of my skin," Atkinson said. "This is unacceptable treatment of anyone." Atkinson said any problem of racism within Boulder needs to be addressed with hard work and not lip service. Boulder Police said the officer who confronted Atkinson has been placed on paid leave while an internal investigation continues. No actions were taken against the other officers. Brautigam announced Monday that former Boulder County District Attorney Stan Garnett agreed to conduct an independent review of the investigation. But Atkinson took issue with Garnett's role and said he and his attorney requested a "Boulder-outsider" to handle the review, but were ignored. On Tuesday, Brautigam did an about-face and said she "decided against" working with Garnett, and instead asked City Attorney Tom Carr to work with Atkinson to consult with attorneys "about alternative options for an independent reviewer."